Please browse through any events and notices concerning our local community. These might include school holiday programmes and other activities. Susan Hunt is an experienced, qualified, home based educator in the Hastings area. With 16 years in the homebased industry, she has a wealth of knowledge around children’s learning and development. Susan provides a warm environment for her children and promotes a strong philosophy that all children are individuals and learn and grow at their own pace. Susan currently has care spaces available for any children aged under 5. If you would like to enquire about Susan please give us a call at Rockmybaby 0800762569 www.rockmybaby.co.nz. 9am-3pm daily, $65 per day, absolutely everything included. The 2019 junior rugby season starts on Saturday 11th May, so register now to make sure no one misses out on being in a team this season. The Anderson Park clubrooms have recently undergone a refurbishment to enhance the family atmosphere. And we cater for all ages from 3yo up. We are inviting kids between the ages of 5-13 years to participate in the Upstart Hastings City Bunny Adventure, which will be focused in and around the Hastings city centre. We have over 20 stores in Hastings CBD who are participating in this event, and all of them will have an Easter bunny sticker hidden on the front of their store window. From April 1, kids can pick up an entry card from any one of these participating stores or at the Hastings i-Site. All they need to do is find one of the stores in Hastings City with the bunny sticker, and head inside to get a stamp on their card. Once the kids have filled up the card up with 12 stamps from different participating stores, (no purchase necessary), they make sure their contact information is filled in on the back of the card and they hand it over to the last store keeper to claim a small prize. All of the prizes are sponsored by Upstart Magazine, a local publication which is produced with the help of primary and intermediate school children and their teachers throughout New Zealand. Every completed entry gets a prize, plus all of the completed entry cards go into the draw for a Games Pack worth over $200 (plus runner up prizes) thanks to Upstart Magazine. The major prize will be drawn at the Harcourts Hastings City Easter Night Market on April 18th, during the first week of the school holidays. Another free and family focused event we are holding, in conjunction with Hastings District Libraries, is the Upstart Hastings City Bunny Hop. This will be held on Thursday April 11th, from 4pm to 6pm in Civic Square, Hastings. This is a free family friendly event with lots of interactive and hands on activities for kids, including a colouring in competition, face painting, make your own bunny ears, egg and spoon races, an Easter rock hunt (and more!). There will be lots of spot prizes sponsored by Upstart Magazine, and every child who finds an Easter Rock will get a free copy of the Upstart Magazine, while stocks last. The Easter Bunny will also be out and about throughout Hastings City after 3.30pm handing out Easter Eggs and spot prizes. Our amazing Autumn Holiday Programme is now open for bookings! There will be 4 days (closed Good Friday) of fun and exciting activities for your children to do. We are wharf fishing, hunting for sea creatures on the rocky shore, going to the movies, heading over to Napier with our scooters & much more! Book direct on https://kascare.aimyplus.com or go to ‘NOTICES’ on www.kascare.co.nz to register and book and to download the activity sheet for the week to see what’s happening! "Creative Kids April School Holiday Programme "
Be part of Hawke’s Bay’s spectacular wearable art event. Categories range from age 5 years up to Adults and ENTRY IS FREE. to work on their designs right up until Friday 9 August. Now is the perfect time to begin collecting materials and dreaming up a design! For more information visit www.ediblefashionawards.co.nz or contact us on 022 108 5696. What sets Frederick St @ Home apart from other providers. · Access to a kaiawhina to support Te Reo and Tikanga Māori into practice. · Relief care is available at our kindergarten and family centre if educators are sick or take holidays. 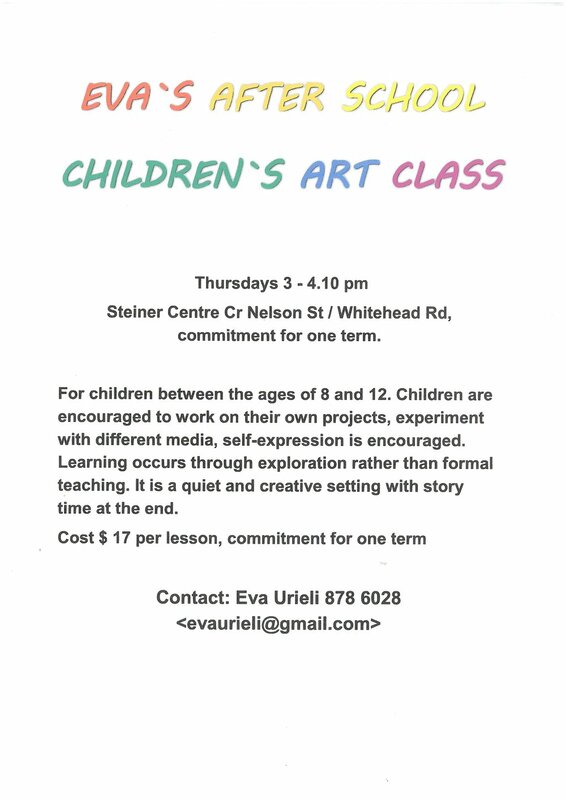 · Great support from experienced teachers and wider Frederick Street Group. Parent Help is a non profit organisation supporting parents to build resilient and positive families/whãnau. 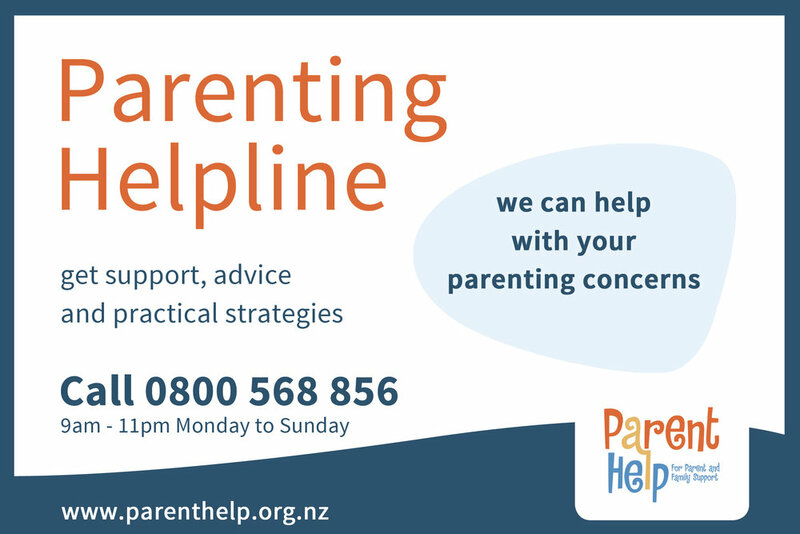 We offer a free national Helpline for parents and caregivers providing advice, support and practical strategies on any parenting concern.